After welcoming a full-time designer, we also wanted to expand the CubeSensors team with somebody who could translate Maša’s new designs into our app. David joined the team in November and has since taken over most of front-end development for our web app. His first big project was the new Settings section that was released as part of our big Sleep update. In the coming months, he’ll also be adding other cool, commonly requested features and visual improvements to the app. David is a skilled front-end developer, which he’s also proved by setting up his own online gift shop, which he runs as a hobby, together with his wife. He’s also the most musically gifted member of our team. He regularly performs on his guitar as the bearded half of the Nina & David Acoustic duo and as a base player with Hish N’ Band. Until now, we’ve been shipping our Cubes in a universal cube-shaped box with minor differences among packs of different sizes. While this universal box has served us well, it didn’t fit all packs and parts nicely. To reduce waste and improve the unboxing experience, we decided to do a little spring update and expand our packaging family with a more spacious box for the Large pack with 6 Cubes, and an incredibly cute smaller box that can be used to ship additional Cubes or Base stations along with their cables. If you’d like to expand your CubeSensors network at home or at the office, you can now order a single Cube or Base directly from our website and they will be shipped in our updated packaging. 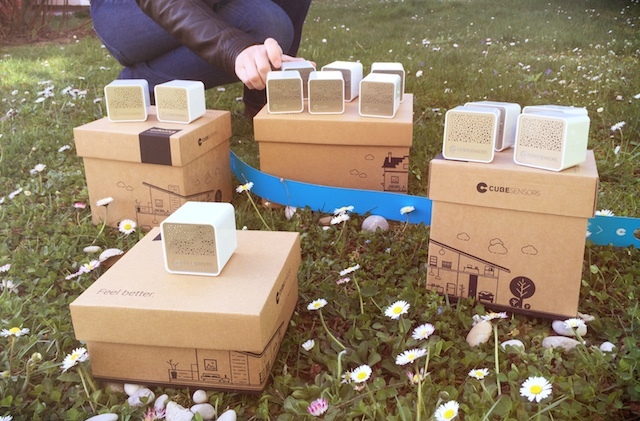 For a first look of our new packaging, we used our office garden and a wonderful sunny spring day to take a family photo of the new boxes and the Cubes each box can accommodate. As before, all our packaging is made out of recyclable cardboard. Inside, you’ll also find cable boxes that can easily be reused for storage, while cats of all sizes will appreciate the cozy shipping box that provides extra protection for your pack of Cubes during its short journey to your doorstep. Do you want to see how your bedroom environment affected your sleep last night? Was it too hot or noisy, was the air too dry, the moon too bright? There’s no need to install special equipment on your bed to get the answers. 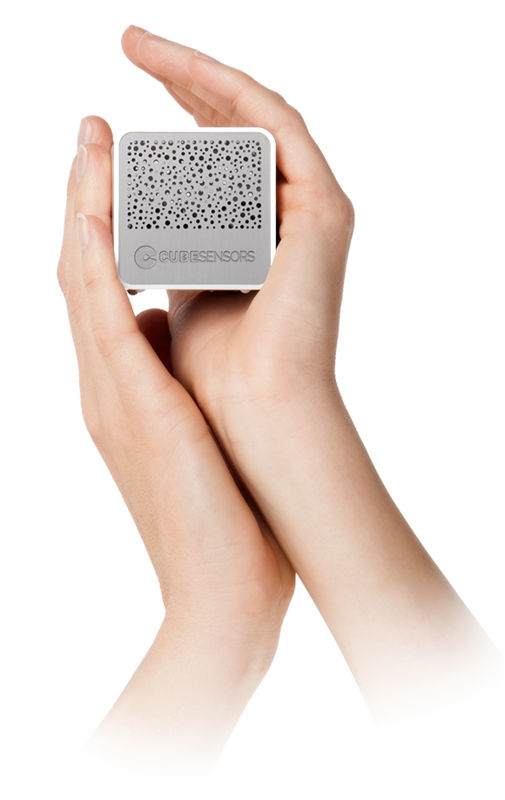 CubeSensors Sleep lets you discover why you slept poorly by combining sleep data from your existing tracker with environmental data from the bedroom Cube on your night stand. 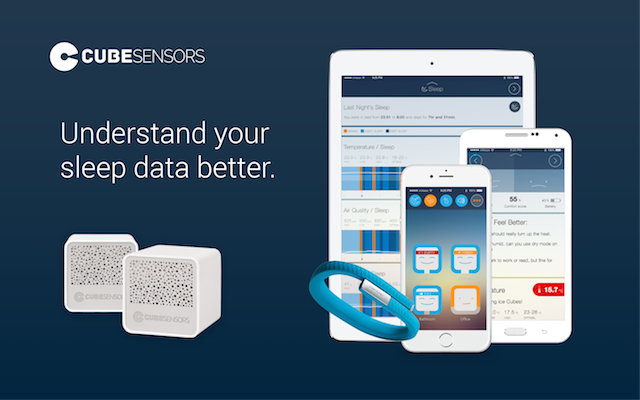 CubeSensors Sleep is now available as a free update in your CubeSensors web app. 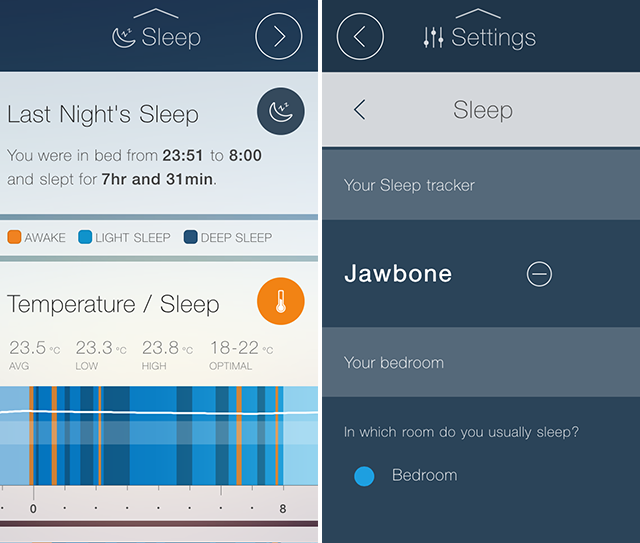 To enable the Sleep screen and see what was going on in your bedroom while you were asleep, just link a Fitbit tracker or an UP bracelet from Jawbone to your CubeSensors account. By doing that, you’ll know how your bedroom’s temperature, humidity, air quality, light and noise affected your sleep pattern. You can link your sleep tracker from the Sleep section on the new Settings screen in your web app and select the Cube that monitors your bedroom. You can remove the tracker or change the bedroom Cube any time from the Settings screen. We’re starting by supporting Fitbit and Jawbone sleep data, but please send us a tweet, message or email if you’d like to see other trackers added in future updates. And if you’ll be enabling CubeSensors Sleep tonight, we can’t wait to hear your stories about what you discover in your bedroom! If you don’t have Cubes around your home yet or want to add extra ones to your bedrooms, you can still order a CubeSensors pack or additional Cubes from our website. We are shipping the Cubes from stock, usually the next business day after you place your order.